The Novi Public Library now offers a playgroup immediately following the Wednesday Tot Time for children ages 2 and under at 10:45 am. Ready, Set, Play! is a relaxed time for young children and their parents/caregivers to play and socialize. Playing in groups allows children to develop social/emotional skills, hear and practice new vocabulary, strengthen problem-solving skills, and use their imagination. Ready, Set, Play! 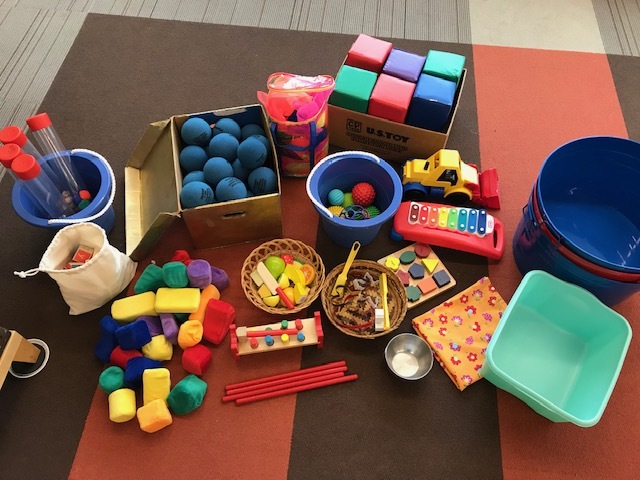 is planned based on the concept of “Loose Parts,” the idea that children can be more creative and imaginative when given the opportunity to engage in unstructured, open-ended play with everyday objects. There is not one specific way to use the materials offered, but instead they can be used in an unlimited number of ways. This past week, children were offered the opportunity to explore magnets with a basket of metal cookie cutters and magnet wands. 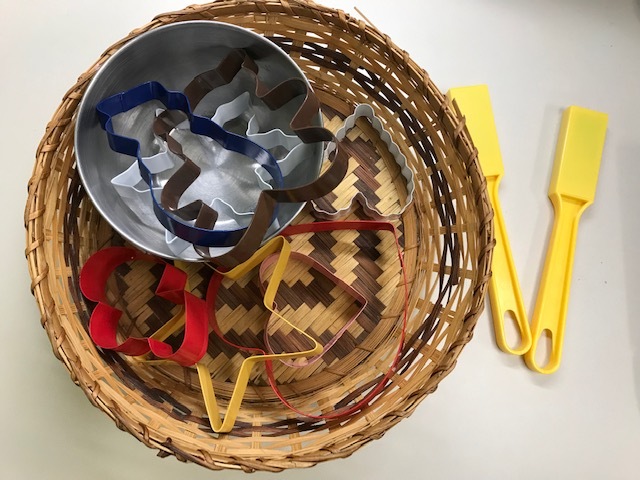 Children also used buckets, scarves, and rhythm sticks to cook up a pot of soup or were busy collecting interesting items in their buckets and baskets. Other children learned about weight by noticing the difference between trying to throw a heavier ball versus a lighter one. Giving children loose parts to investigate, manipulate, and actively explore using their senses, helps them to become more active and curious in their play. Loose parts play can be easily replicated at home or anywhere you go because it uses everyday materials! When choosing materials for infants and toddlers, please be aware of choking hazards, otherwise the sky’s the limit! Interested in learning more? Check out the books Loose Parts: Inspiring Play in Young Children and Loose Parts 2: Inspiring Play with Infants and Toddlers by Lisa Daly and Miriam Beloglovsky. Check the Library’s calendar for the next date for Ready, Set, Play! See you next time!